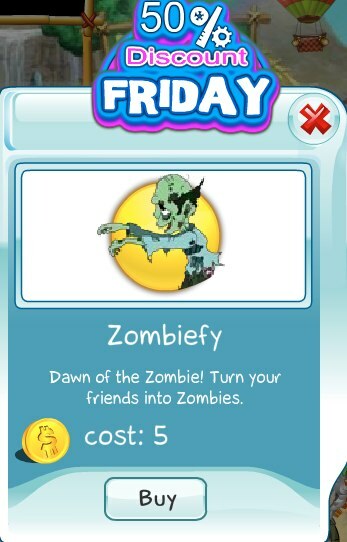 Todays 50% Discount Friday item is the Zombeify spell. It's the dawn of the zombies. Turn your friends into zombies with this spooky spell. This offer is valid today only, so act quickly.